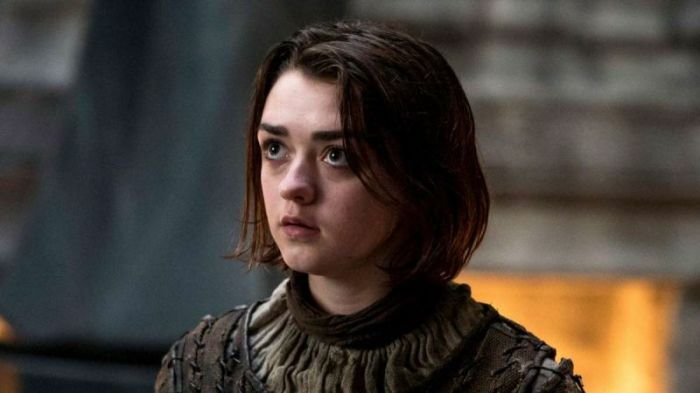 'Game of Thrones' Season 8 Spoilers: Maisie Williams Training for Night King Battle? Will Arya Stark face off with the Night King on "Game of Thrones" season 8? Maisie Williams, the actress who plays her, might have just let out a big secret. Williams revealed that she's been training hard for "Game of Thrones" season 8. The actress, whose character became a trained assassin in the course of the show, shared that she's participating in stunt class to prepare Arya for her biggest scenes. "It's sword work and combat fighting," the 20-year-old star said. "The [trainers] have all these big pads on, so you're allowed to go crazy." Every fan of "Game of Thrones" is aware that the show will present an all-out battle in the final season. The fantasy drama's main players, such as Jon Snow (Kit Harington) and Daenerys Targaryen (Emilia Clarke), will expectedly go head-to-head with its most powerful adversary, the Night King and his army of the undead. Arya will expectedly be there in the fight or take charge of a squad as well. Last season, the character showed her skills and prowess as a killing machine when she had a tussle with Brienne of Tarth (Gwendoline Christie), the toughest female fighter in the series. She also showed her ruthlessness when she took the life of the traitor Littlefinger (Aidan Gillen) to avenge her family. Williams also hinted that she's part of a sequence of night shoots for "Game of Thrones" season 8. She dished that this will take 12 weeks to complete because of the magnanimity of the scenes. What else could this imply, if not the battle against the Night King? "The task is huge," William's described what she's currently filming for the show. "But, there's no better way to leave the show, to be honest." Will Arya survive the battle though? Fans of the show won't know until HBO premiers "Game of Thrones" season 8 in 2019. The network will still announce the exact date at a later time.